Each state has its own terminology for emergency motions. Terms also vary depending on what the filing party is requesting. The specific nature of your emergency will dictate the motion's title. For example, some emergency motions are styled "ex parte," which means they can be submitted to the court before being served on the other party. Other terms include "motion to show cause" and "emergency motion." A motion titled "emergency motion" is usually followed by the precise relief being requested, such as "emergency motion for release of funds." Ordinarily, you cannot correspond with the court without first notifying the other side. All states follow this rule to ensure fairness and complete disclosure. In an emergency scenario, however, you probably will not have enough time to serve the opposing party with a copy of your motion. In that instance, an emergency ex parte motion allows you to get your request before the court without delay. If the court decides in your favor, it will grant temporary relief until a full hearing can be held. Because the court decides emergency motions before holding a hearing, you must supplement your motion with documents that support your request. Some states require all emergency motions to include an affidavit in which the filing party states the facts surrounding the emergency and swears under oath that his statement is truthful. For motions requesting emergency funds, a court might require proof of expenses like receipts and invoices. Providing more evidence increases the likelihood of the court's granting your emergency motion. 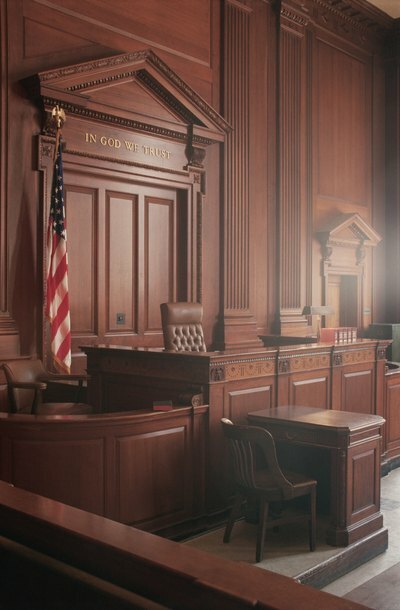 Regardless of whether the court grants your request, it will schedule a hearing on your motion. This gives both parties the opportunity to present evidence and argue their side of the issue. To maximize your chances of having your motion granted or upheld, make sure your emergency request is legitimate. For example, an emergency motion for money to buy a plane ticket to attend a parent's funeral will probably be viewed more favorably than a motion for funds to pay a higher than normal electric bill. Reserving emergency motions for truly unexpected circumstances will increase your chances of success. Can I Reopen a Dismissed Divorce in California or Do I Need to Start All Over? If your divorce is dismissed in California, that means you must refile, unless the dismissal was caused by your or your attorney's mistake, inadvertence, surprise or excusable neglect. If your divorce was dismissed because of one of these four reasons, you may have the option to reopen your case rather than incurring potentially hundreds of dollars to file a new petition, pay a new filing fee, re-serve your spouse and prepare your documents for a second time.